Charles Wells Eagle Brewery plant was opened in Havelock St, Bedford in 1976. The plant and Charles Wells beer brands was taken over in 2017 by Marston's. In 1875 Charles Wells had bought the Horne Street brewery and pub estate in Bedford, which had been in existence since 1818. After moving to the Eagle in 1976, the company merged with Young’s in 2006 to form Wells & Youngs, both splitting off their pub owning operations which continue separately. Wells commission beers under the Wandering Brewer project. 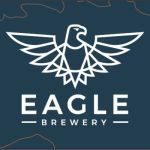 In 2018 Wells sold off brands to Marstons and beers brewed at The Eagle Brewery are now under the Eagle Trade name.